Q: What is a ghost’s favourite pudding? Best Halloween joke ever, courtesy of the Beano! 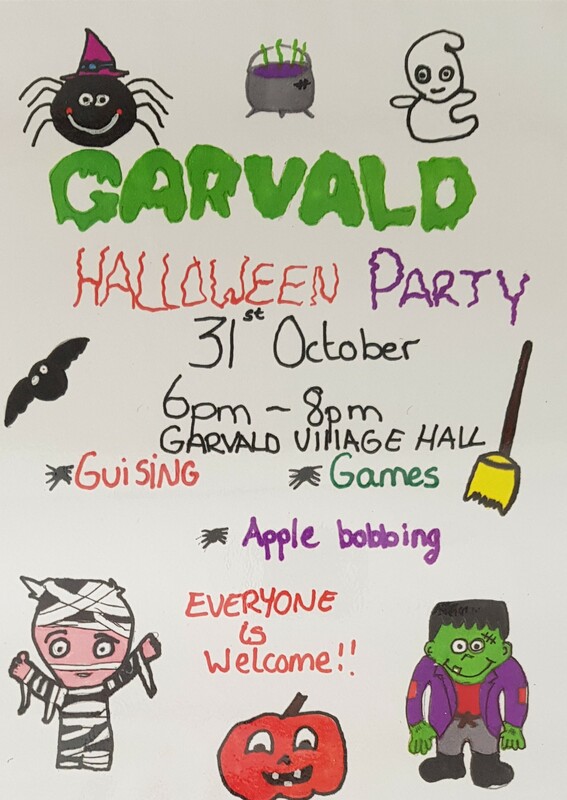 Kids, get your best Halloween outfits, jokes and tricks ready for the children’s Halloween party and guising on Wednesday 31st October from 6-8pm. If everyone could meet at the hall we will split up into two groups and do trick or treat around the village. This is a return to our tried-and-tested set-up which suits the trick-or-treaters and also suits residents who are not keen on a night of doorbell ringing. We will return to the hall for some games, doughnuts and apple dooking! Villagers, if you are happy for guisers to visit you, please leave a light on or a pumpkin at the door. If you are not available or don’t want a visit, please let us know or leave your porch/hall lights off. Thanks. This entry was posted in Events on October 23, 2018 by Admin.